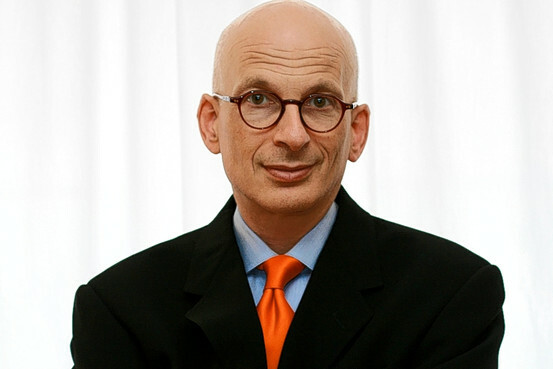 Seth Godin offered some provocative words for higher ed in 2010 with “The coming melt-down in higher education (as seen by a marketer).” I have always valued his perspective on leadership (Tribes book review) and challenging the status quo. Seth kindly agreed to participate in my “5 questions” series, elaborating on his outlook for higher education and sharing his insights on university advancement and marketing. What are your thoughts? 1. It’s 2020. What does higher education look like at the end of this decade? That will be about three years after the giant crash of education loans and the inability of the typical student to justify a full-fare education. It will also be a few years after most courses are available digitally–maybe not from your school, but calculus is calculus. At that point, schools will either be labels, brand names that connote something to a hiring manager, or they will be tribal organizers, institutions that create teams, connections and guilds. Just as being part of the Harvard Crimson or Lampoon is a connection you will carry around for life, some schools will deliver this on a larger scale. I guess it’s fair to say that the business of higher education is going to change as much in the next decade as newspapers did in the prior one. And one more thing before I really get ranting: Higher education is vitally important to our future. It’s one of the best reasons to be a citizen, to be a person in our society. It has the potential to change lives and open doors. But we need to push in the right direction. 2. What are the interesting problems that higher education needs to solve? The biggest one is: What’s it for? Is higher education the thing you do before you become a college professor? Because that pyramid scheme is coming to an end… we don’t need any more Ph.D.s, do we? Or is higher education the place rich kids go to become erudite? Not so many rich kids as there used to be. Or is it a finishing school/trade school? Professors bridle at that. One thing I hope we can agree on is that college should not continue to be advanced high school but with more binge drinking. 3. You’ve said most colleges and universities are “mass marketers.” What’s holding institutions back? Do they lack meaningful, compelling uniqueness; can they not tell their stories; or both? I wouldn’t say “holding them back” because colleges have CHOSEN to be mass marketers, have chosen to sell above average education to above average masses of students. That’s what thousands of colleges have chosen to do, all at the same time. I get the brochures at my house daily. Switch the logos and there’s not a lot of difference. If you reward the University president for fundraising, don’t be surprised that she’s in favor of a big football team and a plan to move up the US News rankings. There are definitely unique schools out there, niche schools, schools that know who they want and what they want to deliver. But most institutions are institutions first, and lack the guts to say no, so they become mediocre. 4. What advice would you give to higher ed marketers, especially those looking to do things differently and create change within their institutions? Marketing is first and foremost about what you sell, not how you sell it. So an institution that wants a different marketing footprint needs to have a different agenda, a different curriculum and needs to be less beholden to the accreditation folks. If there’s a crisis around the corner (and there is, draw any lines on any graph you choose), then doing what you’ve been doing is surely going to get you what you’ve been getting, no? 5. In terms of university advancement, how can we rethink traditional approaches and truly create “tribes” among our universities’ alumni and donors? The question is: does the relationship start or end at graduation? Not just the relationship with the institution (give us money!) but with the other students? What does an alumni network that works actually look like? My good friend went to Harvard Business School while I went to Stanford. I was struck by one huge difference: the first day of the first class, he and his classmates elected their alumni rep and organizer–two years before graduation. I don’t think we ever did. 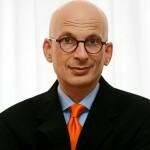 Bonus Question: What should be on the reading list of higher ed leaders for 2012? John Taylor Gatto, for sure. Loren Pope. My book Linchpin if I can be bold. Richard Feynman and Tim Wu’s The Master Switch too. Thanks for reading, Andrew. Yes, Seth is recommending Surely You’re Joking, Mr. Feynman! (Adventures of a Curious Character).